Way2SMS is a free SMS platform that allows its users to send free SMS to anyone across India. It was launched in 2006 and back then, it was perhaps the only reliable free platform for sending SMS to friends and family. Even today, it boasts of a user base of over 40 million, which speaks volumes about its reliability and the trust it commands from its users from different parts of the country. That all said, using the platform is something you can do with a bit of a help with, especially if you’re new to Way2SMS. While Way2SMS can be a pretty effective way of sending SMS and even bulk SMS when you’re short on your SIM card’s balance, the interface and using the service can be a bit overwhelming initially. And this is where this ultimate guide to using Way2SMS comes in. It will not only be teaching you how to use Way2SMS to send an SMS but also how to get the most out of it and the service it offers. How to Register on Way2SMS? Like most free SMS platforms, Way2SMS requires its users to first register before they can use their service. This probably helps them prevent users from abusing their service as well as keep various legal issues at bay. However, registering on Way2SMS is a fairly easy process, and we will make it even easier for you by telling you exactly what you need to do in order to register a new account at Way2SMS. First things first, you need to go to the Way2SMS’ official desktop website. You can also use its Android app too but we will get to it later and talk only about using the desktop version for now. To go to the Way2SMS official site, you can either simply click here or put “Way2SMS.com” in your browser’s address bar and hit Enter. Of course, you need to hit the Register Here button, and as soon as you do so, you will get a screen that looks exactly like what you can see in the below image. If you see exactly the same page on your browser after clicking on the “Register Here” option on the homepage, you’re at the right place to register. Now, you will simply need to fill in all your details. Please note that the Mobile No will be your Login ID and it needs to be a valid, correct mobile number. This will also be the mobile number the users you will be sending the messages to using Way2SMS would see, so you may want to use the number that you generally use and not the one that you may just be using for Internet purpose or something else that the people you’re looking to send messages to may not be aware of. Finally, you will need to put the code as shown in the box at the end of the page. This is just for verifying you’re a human and prevent spam. Once you’re done filling in all the details, you need to click on the “Verify and Register” option. On clicking on that option, you will get a 6-digit password on the Mobile Number you registered with, as you can see in the image below. After you put in the password and click “Verify and Login,” you may be asked to log in again or be able to get logged in right away. This seems to be due to a bug in the Way2SMS website, as even after I put the 6-digit password I received on my Mobile Number, I wasn’t automatically logged in, but asked to log in again. So as you can see, at this point, you’d be logged in and would see several different feature options. We will explain them each in detail in a bit. But hope this detailed registration process with a screenshot of the page at every stage of the process was able to make it stupidly easy for you to register on the Way2SMS’ desktop site. However, as we logged in straight after registering an account on the site, it’s important that we learn how the Way2SMS login process works as well. So let’s get to it below. The Way2SMS login process is actually a lot more straightforward and easier than the registration, but let us guide you through it all the same in case some people reading this that are not very familiar with technology at all and are having difficulty in figuring it out themselves. Ok, so the first step here would be to click here or put Way2SMS.com in your browser’s address bar and hit Enter, just like when registering. Now, you will land on the homepage that we have already shown you above, but this time, you will need to put in your login details and click on the “Login” button instead of clicking on the “Register Here” button. Once you’re logged in, you will see a page with many options; we have shared an image of this page above so you can refer to it again. This is it. You will now be logged in and be able to use the various features of Way2SMS, which obviously include sending SMS to anyone using their mobile number. Well, now that you’re aware of both how to register an account on Way2SMS as well as logging in to the website, let us now understand the features it offers in detail as we promised above. As we have mentioned a couple times in this article already, Way2SMS isn’t just about sending basic SMS to people you know. It has become much more than that, especially in the recent years as it kept introducing one new feature after another. We will now be taking a detailed look at almost all of the features it has to offer so that you can get the most out of the service. Of course, the most basic and important feature Way2SMS is so popular for is allowing its users to send free SMS to their contacts. You can access this feature by simply clicking on the “Send SMS” menu at the top that you see right when you log in to the desktop site. Once you click on it, you will see a page with a mobile number and message field. You need to put the mobile number of the user you want to send the message to and type in your message into the message field. Way2SMS has a collection of free, “forward” type SMS that you can see on the right side of the page. If you’re just looking to send a cool forward message, you may be able to find quite a few from their list. Remember that you’re restricted to a character limit of only 140 characters, and you won’t be able to send longer messages. If you want to send a longer message, you will have to cut short your original message to 140 characters, and use the Send SMS menu again to send the rest of the message. Finally, it’s probably worth noting that your message will also have an ad displayed at the end of the message. Of course, Way2SMS wouldn’t let you send free SMS without advertising their or their sponsor’s services. 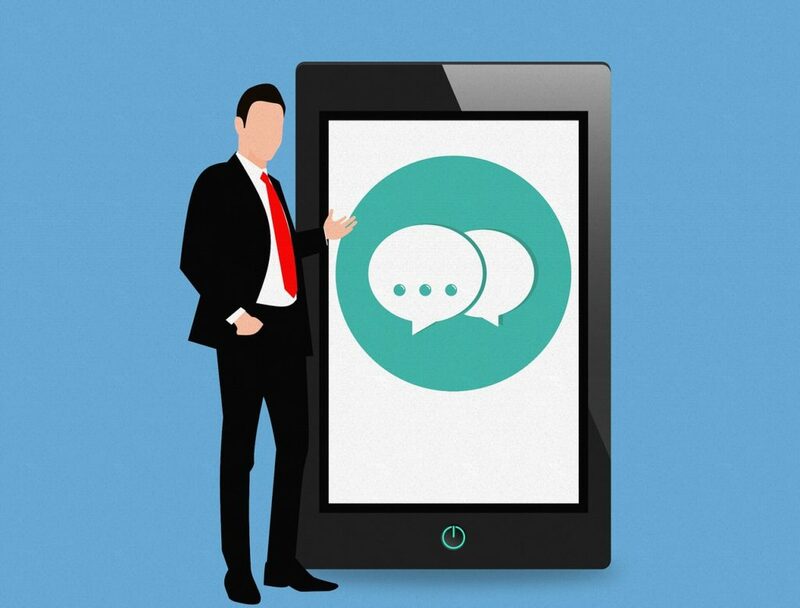 One of the latest features introduced by Way2SMS on their platform is the Language SMS. As the name of the feature suggests, it allows you to send free SMS in as many as 4 different languages that are widely used in India. You just need to type the message in English, and it will automatically convert into your chosen language. The rest of the process of sending a Language SMS is the same as sending a general free SMS through Way2SMS. Next up is Group SMS, and it’s a pretty self-explanatory feature as well. As you could tell by the name itself, this feature would allow you to send free SMS to more than one users at once. However, this feature has some more stringent restrictions than the general individual free SMS feature. The first is that you cannot send an SMS to a number that’s registered for DND through this feature, and the second is that you cannot use this feature to send SMS between 9 PM to 9 AM. These restrictions are in line with the TRAI’s regulations, so you will certainly not be able to get around them. In addition to that, you will also need to save the numbers that you want to send a Group SMS to in your address list on the site, using the “Address Book” menu, which we will be discussing below. If you have a few contacts saved in your address book on Way2SMS, you will see them at the left side of the page of the Group SMS menu. You can just add them from there, type your message, and click Send SMS. Your SMS will be sent to all the contacts that you choose, but the restriction of 140 characters will apply to this feature as well. This is basically a feature to help you check all sent SMS in Way2SMS. It doesn’t add a lot to the overall functionality of the service, but it can certainly come in handy when you want to check who you have been sending SMS to and keep a track of your outgoing SMS. The next feature that you will see on the menus (horizontal) list at the top is the Address Book. It allows you to add a contact, which is going to be a must if you want to use the site’s Group SMS feature. If you don’t have your contacts mentioned with their mobile numbers, you can use Way2SMS’ inbuilt feature that allows you to email them asking for their number. And as they respond with their number, they will be automatically updated in your Address Book. Finally, there’s a “Add Multiple Contacts” feature as well, which is going to turn out to be incredibly useful for those that want to add tens of contacts without having to waste a ton of time doing it. The next feature is SMS Greetings, and it’s basically an umbrella menu for many different types of inbuilt SMS you will find under that menu. Ranging from jokes to birthday messages – and everything in between – can be found here. There are literally thousands of messages under each of the said categories, and you can be sure of never running out of them if you plan to use Way2SMS for sending the “forward” type messages to your family and friends. Another unique feature by Way2SMS, it allows you to send the SMS to a user at a specified point in the future. It allows you to put a specific date and exact time, and your message will be sent at that time regardless of whether you’re logged in on the site at that time or not. Way2SMS also has an Android application that offers more or less the same features as the desktop website, but it’s named as Way2ONLINE. You can use this app to use Way2SMS on mobile. When you download the application, it will show you two options – Registering a new account and logging in to an already existing one. If you register your account through the desktop site following the steps we discussed above, you can log in straight into the app and start using all the features of Way2SMS from the comfort and convenience of your Android smartphone. While Way2SMS is a feature-loaded free SMS service, you must note that it shouldn’t be used to send spam SMS or abused in any other way. Way2SMS may ban your account if you do anything that makes the people you’re sending messages to report you.